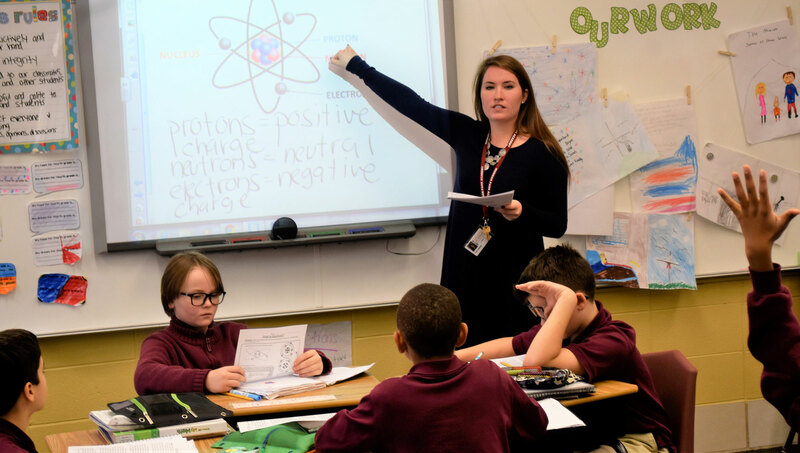 Fourth-grade teacher Sara Tesmond is a lifelong South Sider, leaving only to attend the University of Dayton in Ohio, where she earned a B.S. in education. 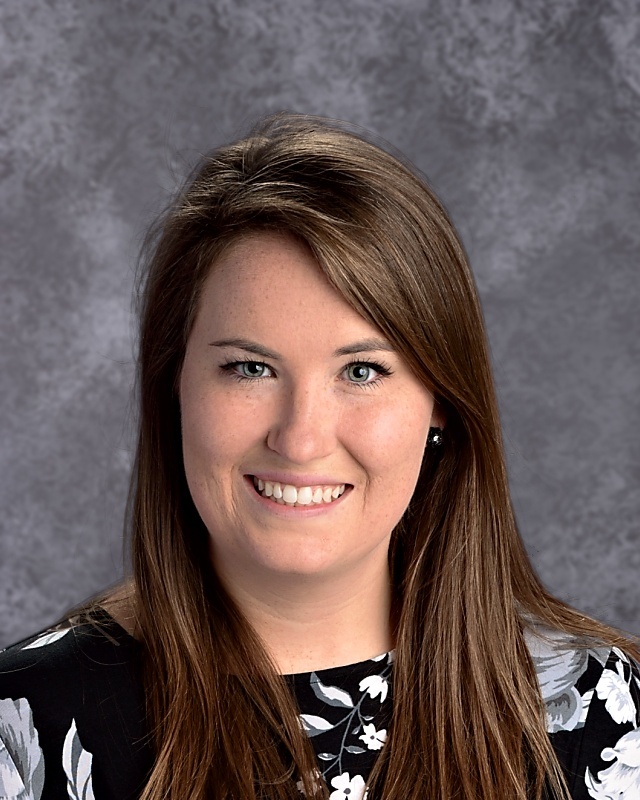 After teaching middle school math her first year in the classroom, she has taught fourth grade the past several years. 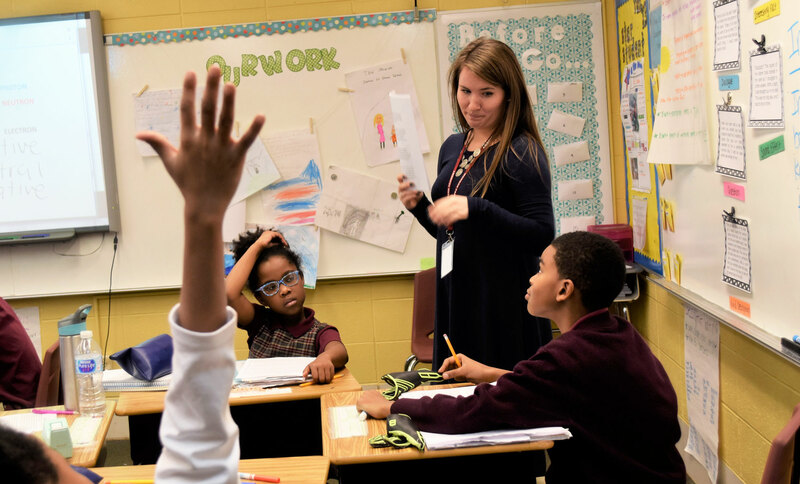 She taught second- and third-grade academic enrichment classes at Morgan Park Academy for four summers before joining our full-time faculty. I wanted to become a teacher because I find education to be an essential part of life. I have always loved learning and I want to show my passion to the future generation. When I was in school I was always the student trying to help others understand the material, and that led me to become a teacher. I had many influential teachers in my life that have inspired me. I love that with teaching, each day is different and each child is unique. Another reason I was motivated to become a teacher is because I have always connected with children and want to watch them succeed. I have worked with children since I was 12. They are full of creativity and I know that they have just as much to teach me as I teach them. I became a teacher to be able to work together with other people who share this same passion. I love to collaborate with colleagues and plan lessons so that students can make cross-curricular connections. How do you inspire a student who has a hard time learning your subject? I know there are several different types of learners and that makes each learning experience unique. I happen to be a visual and hands-on learner, but I know that not everyone learns the same way. I try to inspire students who are having a hard time by showing them the material in several different ways. I try to make learning fun and incorporate as many games and technology as I can. When a student is having a difficult time, I like to sit down with them and try different techniques and see what sticks best with them. I make sure that students never give up and show them that I believe in them as their teacher and will do anything to help. 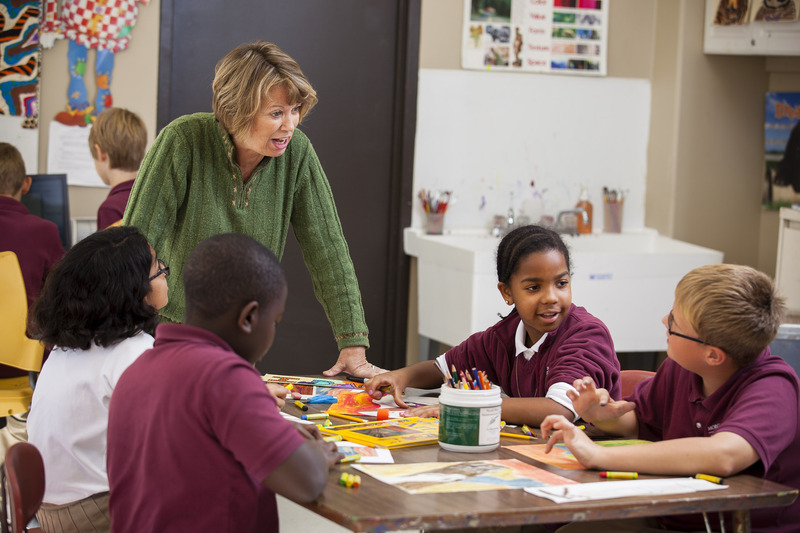 What professional development activities have you participated in recently? I am currently in a writing class and it is full of amazing resources I can’t wait to try out! Being able to write and make connections with what you are reading is necessary in life and in learning. This class is giving me brand new ideas of how to teach writing and providing me resources to help my students and share with my colleagues. I think writing allows me as a teacher to get to know my students on a more personal level and really see how creative their minds are. I am always amazed at what students come up with when writing and incorporate it in every subject I teach. Writing allows me to visualize what my students are thinking and help me understand them better.